If you're quite active on Pinterest, you might be interested in finding out different channels to exchange your boards and pinning activity with your network. Apart from the regular web & mobile interface, Pinterest can also be integrated tightly with your WordPress or Blogger blog. You only need some of the most popular Pinterest plugins or widgets that can help you and your blog visitors' to showcase or upload the favorite content to this popular social media service. Here's a list of such plugins and widgets to get you started with integrating Pinterest with your blog. Pinterest RSS Widget - It's perhaps one of the most popular Pinterest plugins available for WordPress blogs. As the name implies, this plugin uses your Pinterest account's RSS feed to pull and showcase the content. You can also choose to display associated descriptions beneath each pinned image. Thankfully, this plugin also includes nice 'follow button' feature to help grow your network quickly. Pinterest "Pin It" Button - Quite similar to bookmarking and social sharing buttons for various social media platforms, this handy plugin brings the same functionality for Pinterest. You can easily embed 'Pin It' button on your posts and pages to allow readers to pin images from your blog posts. Lots of customization options and support for shortcode embedding allows you to add this button wherever you want in your blog. Gunner Technology Pinboard - This is an interesting plugin that showcases your post content in Pinterest style Pinboard. Every photo blogger will love to experiment with this useful plugin that transforms your image-only blog posts into a complete Pinboard. You can also use a shortcode to fetch specific type of pictures from your archive. Upon clicking on the pins, you'll be presented with an expanded lightbox to view an individual image with much clarity. 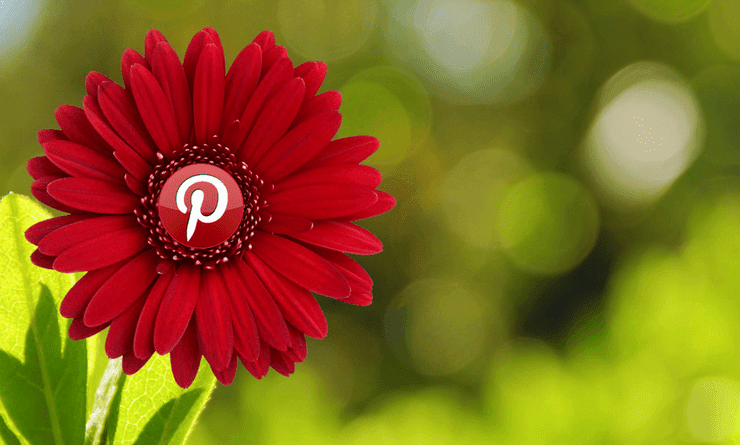 Pretty Pinteres Pins - This is one of my favorite Pinterest plugins. With ample configuration options, you can easily showcase content from your Pinterest account comprising of pins, captions and links customized as per your needs. You can easily filter out selective content and can display them in a completely customizable sidebar widget through this excellent plugin. Pinterest Pinboard Widget - This is yet another plugin that renders a nice widget populated with fresh pins from your Pinterest account. The pins are displayed resembling the look 'n' feel of Pinterest Pinboards. For optimized performance, all the fetched pins are cached at the interval of every 15 minutes. The 'Show more' link ensures that readers can view more images from your account easily. Pin It On Pinterest - This is one of the best pinning button plugin for WordPress blogs. You can handpick an image from within a blog post and can add a custom caption such that it links to the post's URL ready for pinning in the form of pinning button. It also shows the count of pins for each image. It's ideal for food, photo and similar blogs that publish a lot of graphic content. Pinterest for Galleries - If you're using the native WordPress gallery feature, then this plugin is made just for you. It seamlessly adds pinning button to each image in your WordPress gallery. Make sure you don't use any external gallery plugin with this one as it only works with the default WordPress gallery feature. Easy Pinterest - The simplicity of this plugin makes it among the best Pinterest plugins available for bloggers. It displays recent activities (pins - image tiles) from your account in a customizable widget. You can provide a custom title and can set the number of images to show in the widget. You can drag-n-drop the pins widget at the appropriate location from within the admin panel as per your preference.